PLEASE BARE WITH US, THIS PAGE IS STILL UNDER CONSTRUCTION. 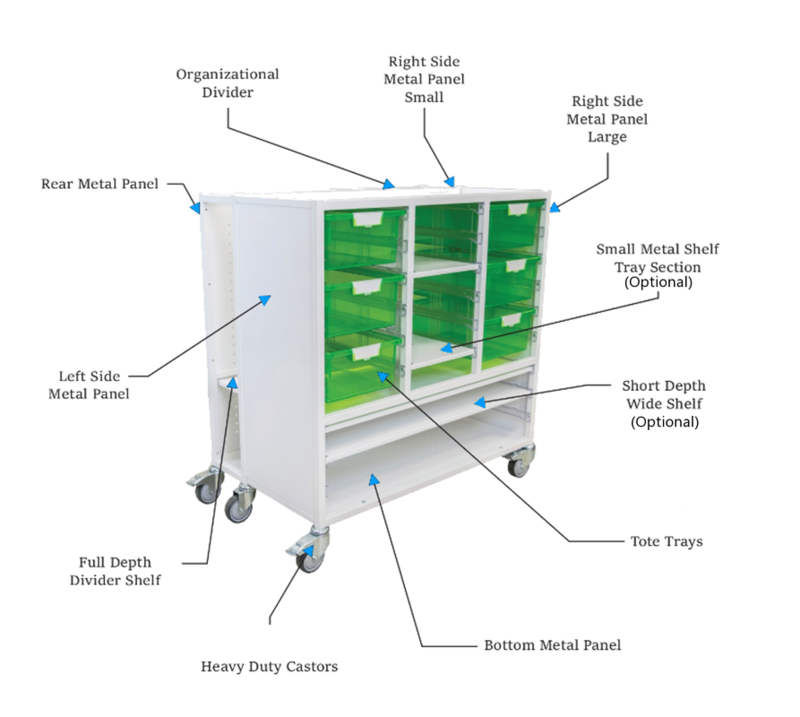 PLEASE CONTACT SALES@BENCHMARQUE.CA FOR MORE INFORMATION ON OUR INNOV-8 STORAGE CARTS. Designed as an extremely flexible, diverse, agile tool with the ability to be personalized to meet the evolving requirements of any individual. It has the unique ability to store and access from the front, side and top. It can be equipped with a variety of materials, supporting a vast array of tasks and applications. These materials include dry erase surfaces, pegboards and magnetic solutions. To the right, there are some examples of how flexible the Innov-8 can be. From high tech to low tech, science, math and art Innov-8 provides innovative opportunities supporting the extremely large to the smallest of resources.